1. Introduction to Computers and the Internet. 2. Microsoft® Internet Explorer 5.5. Introduction to the Internet Explorer 5.5 Web Browser. Connecting to the Internet. Internet Explorer 5.5 Features. Searching the Internet. Online Help and Tutorials. Keeping Track of Favorite Sites. File Transfer Protocol (FTP). Outlook Express and Electronic Mail. NetMeeting. MSN Messenger Service. Customizing Browser Settings. Introduction. Image Basics. Vector and Raster Graphics. Toolbox. Layers. Screen Capturing. File Formats: GIF and JPEG. Internet and World Wide Web Resources. 4. 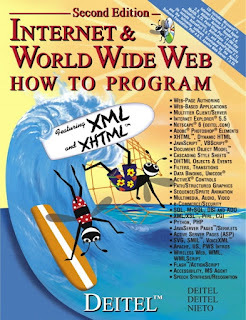 Introduction to XHTML: Part 1. 5. Introduction to XHTML: Part 2. Introduction. Basic XHTML Tables. Intermediate XHTML Tables and Formatting. Basic XHTML Forms. More Complex XHTML Forms. Internal Linking. Creating and Using Image Maps. meta Elements. frameset Element. Nested framesets. Internet and World Wide Web Resources. 6. Cascading Style Sheets™ (CSS). Introduction. Inline Styles. Embedded Style Sheets. Conflicting Styles. Linking External Style Sheets. WK CSS Validation Service. Positioning Elements. Backgrounds. Element Dimensions. Text Flow and the Box Model. User Style Sheets. Internet and World Wide Web Resources. Introduction. Essentials of Counter-Controlled Repetition. for Repetition Structure. Examples Using the for Structure. switch Multiple-Selection Structure. do/while Repetition Structure. break and continue Statements. Labeled break and continue Statements. Logical Operators. Summary of Structured Programming. 13. Dynamic HTML: Object Model and Collections. Introduction. Object Referencing. Collections all and children. Dynamic Styles. Dynamic Positioning. Using the frames Collection. navigator Object. Summary of the DHTML Object Model. 14. Dynamic HTML: Event Model. Introduction. Event onclick. Event onload. Error Handling with onerror. Tracking the Mouse with Event onmousemove. Rollovers with onmouseover and onmouseout. Form Processing with onfocus and onblur. More Form Processing with onsubmit and onreset. Event Bubbling. More DHTML Events. 15. Dynamic HTML: Filters and Transitions. Introduction. Flip filters: flipv and fliph. Transparency with the chroma Filter. Creating Image masks. Miscellaneous Image filters: invert, gray and xray. Adding shadows to Text. Creating Gradients with alpha. Making Text glow. Creating Motion with blur. Using the wave Filter. Advanced Filters: dropShadow and light. Transitions I: Filter blendTrans. Transitions 11: Filter revealTrans. 16. Dynamic HTML: Data Binding with Tabular Data Control. Introduction. Simple Data Binding. Moving a Recordset. Binding to an img. Binding to a table. Sorting table Data. Advanced Sorting and Filtering. Data Binding Elements. Internet and World Wide Web Resources. 17. Dynamic HTML: Structured Graphics ActiveX Control. Introduction. Shape Primitives. Moving Shapes with Translate. Rotation. Mouse Events and External Source Files. Scaling. Internet and World Wide Web Resources. 18. Dynamic HTML: Path, Sequencer and Sprite ActiveX Controls. Introduction. DirectAnimation Path Control. Multiple Path Controls. Time Markers for Path Control. DirectAnimation Sequencer Control. DirectAnimation Sprite Control. Animated GIFs. Internet and World Wide Web Resources. 19. Macromedia® Flash™: Building Interactive Animations. Introduction. Flash TM Movie Development. Learning Flash with Hands-on Examples. Creating a Projector (.exe) File With Publish. Manually Embedding a Flash Movie in a Web Page. Creating Special Effects with Flash. Creating a Web-Site Introduction. ActionScript. Internet and World Wide Web Resources. 20. Extensible Markup Language (XML). Introduction. Structuring Data. XML Namespaces. Document Type Definitions (DTDs) and Schemas. XML Vocabularies. Document Object Model (DOM). DOM Methods. Simple API for XML (SAX). Extensible Stylesheet Language (XSL). 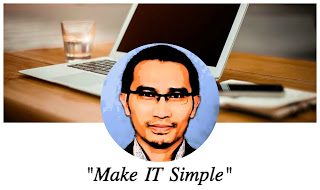 Microsoft BizTalk Simple Object Access Protocol (SOAP). Internet and World Wide Web Resources. 21. Web Servers (IIS, PWS and Apache). Introduction. HTTP Request Types. System Architecture. Client-Side Scripting versus Server-Side Scripting. Accessing Web Servers. Microsoft Internet Information Services (IIS). Microsoft Personal Web Server (PWS). Apache Web Server. Requesting Documents. Internet and World Wide Web Resources. 22. Database: SQL, MySQL, DBI and ADO. Introduction. Relational Database Model. Relational Database Overview. Structured Query Language. MySQL. Introduction to DBI. ActiveX Data Objects (ADO). Internet and World Wide Web Resources. 23. Wireless Internet and m-Business. Introduction. M-Business. Identifying User Location. Wireless Marketing, Advertising and Promotions. Wireless Payment Options. Privacy and the Wireless Internet. International Wireless Communications. Wireless-Communications Technologies. WAP and WML. Phone Simulator and Setup Instructions. Creating WML Documents. WMLScript Programming. String Object Methods. Wireless Protocols, Platforms and Programming Languages. Internet and World Wide Web Resources. Introduction. Operators. Data Types and Control Structures. VBScript Functions. VBScript Example Programs. Arrays. String Manipulation. Classes and Objects. Operator Precedence Chart. Internet and World Wide Web Resources. Introduction. How Active Server Pages Work. Setup. Active Server Page Objects. Simple ASP Examples. File System Objects. Session Tracking and Cookies. Accessing a Database from an Active Server Page. Server-Side ActiveX Components. Internet and World Wide Web Resources. 26. Case Study: Active Server Pages and XML. Introduction. Setup and Message Forum Documents. Forum Navigation. Adding Forums. Forum XML Documents. Posting Messages. Other Documents. Internet and World Wide Web Resources. 27. Perl and CGI (Common Gateway Interface). Introduction. Perl. String Processing and Regular Expressions. Viewing Client/Server Environment Variables. Form Processing and Business Logic. Server-Side Includes. Verifying a Username and Password. Using DBI to Connect to a Database. Cookies and Perl. Operator Precedence Chart. Internet and World Wide Web Resources. Introduction. Basic Data Types, Control Structures and Functions. Tuples, Lists and Dictionaries. String Processing and Regular Expressions. Exception Handling. Introduction to CGI Programming. Form Processing and Business Logic. Cookies. Database Application Programming Interface (DB-API). Operator Precedence Chart. Internet and World Wide Web Resources. Introduction. PHP. String Processing and Regular Expressions. Viewing Client/Server Environment Variables. Form Processing and Business Logic. Verifying a Username and Password. Connecting to a Database. Cookies. Operator Precedence. Internet and World Wide Web Resources. 30. Servlets: Bonus for Java™ Developers. 31. JavaServer Pages: Bonus for Java™ Developers. Introduction. JavaServer Pages Overview. A First JavaServer Page Example. Implicit Objects. Scripting. Standard Actions. Directives. Custom Tag Libraries. World Wide Web Resources. Introduction. E-Business Models. Building an e-Business. e-Marketing. Online Payments. Security. Legal Issues. XML and e-Commerce. Internet and World Wide Web Resources. 33. Multimedia: Audio, Video, Speech Synthesis and Recognition. Introduction. Audio and Video. Adding Background Sounds with the bgsound Element. Adding Video with the img Element's dynsrc Property. Adding Audio or Video with the embed Element. Using the Windows Media Player ActiveX Control. Microsoft Agent Control. RealPlayerTM Plug-in. Synchronized Multimedia Integration Language (SMIL). Scalable Vector Graphics (SVG). Internet and World Wide Web Resources. Introduction. Web Accessibility. Web Accessibility Initiative. Providing Alternatives for Images. Maximizing Readability by Focusing on Structure. Accessibility in XHTML Tables. Accessibility in XHTML Frames. Accessibility in XML. Using Voice Synthesis and Recognition with VoiceXML. CallXML. JAWS for Windows. Other Accessibility Tools. Accessibility in Microsoft Windows 2000. Internet and World Wide Web Resources. Appendix A. XHTML Special Characters. Appendix B. Operator Precedence Chart. Appendix C. ASCII Character Set. NEW - Additional resources available for instructors who want to cover non-Microsoft environments. 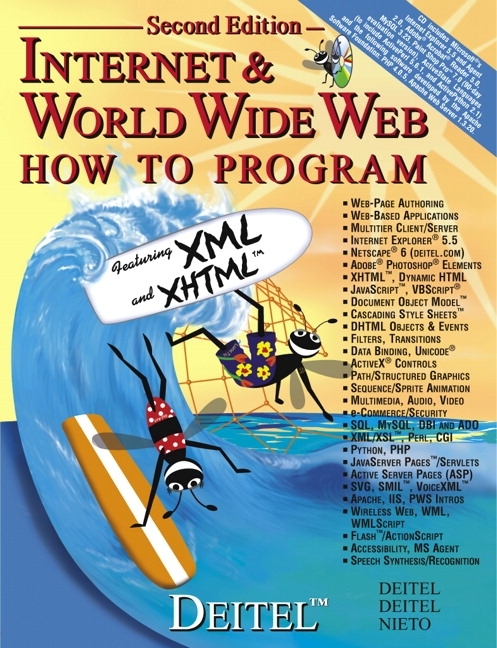 NEW - Two new chapters covering XHTML. NEW - New chapter on wireless internet technology. NEW - New chapter dedicated to accessibility. NEW - Two new chapters on Python and PHP. NEW - Updates and additional detail throughout the book. Also available packaged with the Interactive Multimedia Cyber Classroom CD-ROM in The Complete Internet & World Wide Web Training Course, Second Edition (CD-ROM version: 0-13-089561-X; Web-based version: 0-13-065258-X). If your customer has already received Internet & World Wide Web How to Program, Second Edition, please sample only the Internet & World Wide Web Multimedia Cyber Classroom CD-ROM (0-13-089559-8) to show them the advantages they would get with The Complete Training Course. Please do not sample The Complete Training Course as they will receive a duplicate copy of the main text. Additional resources available for instructors who want to cover non-Microsoft environments. Two new chapters covering XHTML. New chapter on wireless internet technology. New chapter dedicated to accessibility. Two new chapters on Python and PHP. Updates and additional detail throughout the book.